Jeremy Herbert is a multimedia artist and stage designer. Notable engagements elsewhere: Blue Orange, Safe House, Hamlet, The Glass Menagerie, and Blackta (Young Vic); Betrayal (Comedy); La traviata (Wiener Festwochen); Paradise, a site-specific performance/installation for the Ruhr Triennale; Harper Regan by Simon Stephens (Hamburg Schauspielhaus, Salzburg Festival); and Parlour Song by Jez Butterworth (Almeida). He used a NESTA Award to design and develop giant (silent) wind machines that became central to his design for Britten’s Death in Venice (Hamburg Staatsoper/Theater an der Wien). He designed many new plays for the Royal Court Theatre. These included first productions of Sarah Kane’s Cleansed and 4.48 Psychosis (Barclays Award for Best Design); as well as Tom Murphy’s Alice Trilogy; The Lights (staged in the gutted theatre prior to its refurbishment); Caryl Churchill’s version of Thyestes; and The Ugly One by Marius Von Mayenburg. 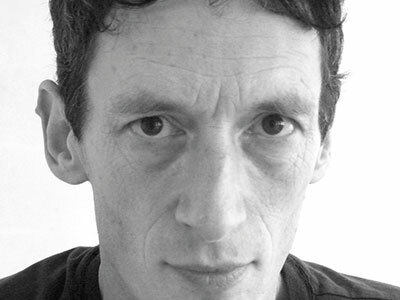 Elsewhere, He has designed new operas for both Michael Nyman (Man & Boy DADA) and John Tavener (Mary of Egypt); he has worked for the RSC (The Tempest, Roberto Zucco); in the West End (This is Our Youth, Sexual Perversity in Chicago); with Madonna (Up For Grabs); and with Artangel (Imber – Salisbury Plain).